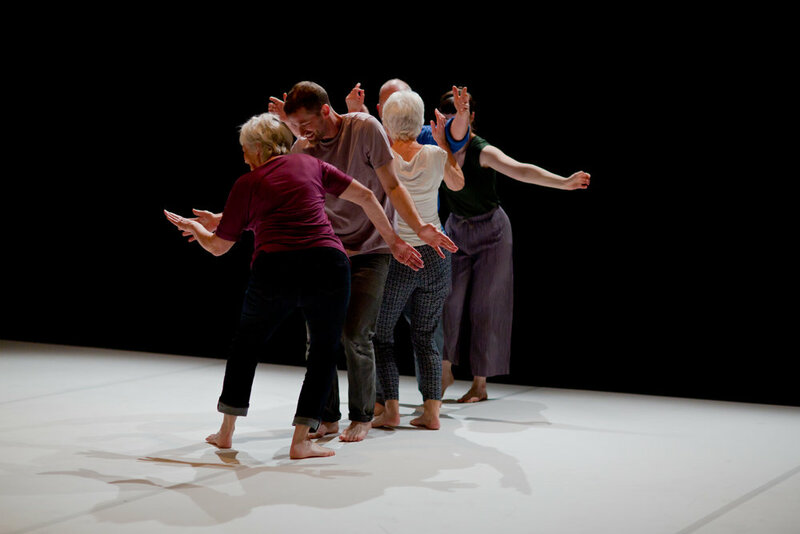 Ensemble is a stage performance that tests what is physically possible through a series of interactions between a group of five people. 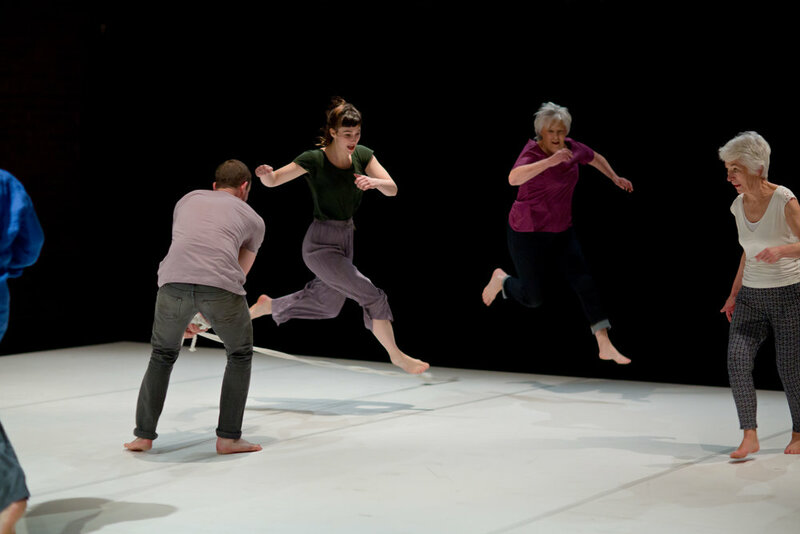 Ensemble is a collaboration between co-directors Lucy Boyes and Robbie Synge, and three older performers and dancers aged in their 60s and 70s. Together, our age range is 32 – 75. Throughout the performance, we reveal more about our different physicality, strengths and challenges through a series of dance/physical performance sections. Over time, interactions show surprising and bold sequences or incidents, or much more predictable but entirely honest interactions. Created in association with Dance Base and Eden Court with support of Lyth Arts Centre and Yorkshire Dance.